This January, Flood Free Calgary joined forces with fellow flood advocacy group, Calgary River Communities Action Group (CRCAG), to host a community forum on flood mitigation and to kick-off a flood coalition in support of upstream mitigation including the Springbank Off-Stream Reservoir Project (SR1). Community leaders were invited to the January 23 event to learn what they can do to help strengthen our efforts in the lead up to the next general election this Spring. 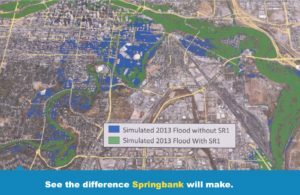 The forum highlighted recent challenges facing upstream mitigation projects, the risk the provincial election poses (especially considering we do not know where some candidates stand on SR1), and the potential economic impact of a flooded our downtown core. 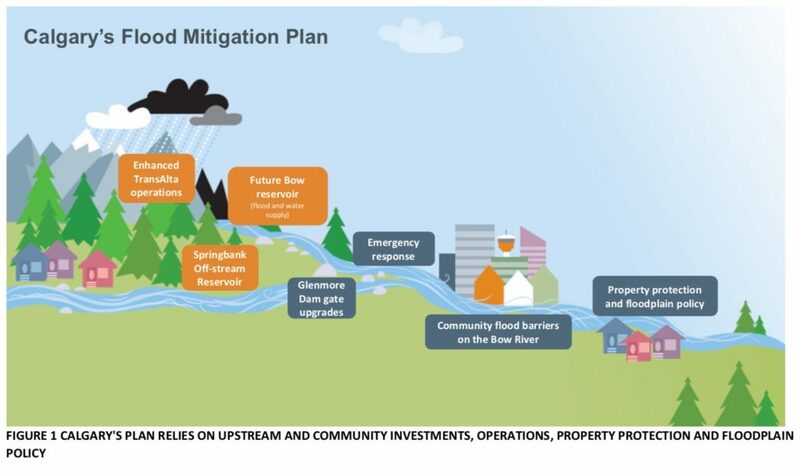 Frank Frigo, Leader of Watershed Analysis for the City of Calgary, joined to speak to the importance of upstream flood mitigation infrastructure to the City’s holistic plan to address flood risk, the recommended approach of experts, and the work that is already completed or underway. Frigo also addressed alternate upstream projects that have been proposed, such as McLean Creek Reservoir (MC1), the Priddis Diversion, and Tri-Rivers Joint Reservoir (TRJR), and explained why they are not feasible. Together with CRCAG, we urged all attendees to reach out directly to the election candidates in their ridings to ensure they are aware of how important this issue is to their constituents. Additionally, attendees were invited to band together as a coalition in support of critical mitigation infrastructure and were asked to sign a Declaration of Support as part of that commitment (although no time or financial commitment required). We were joined by representatives from nearly a dozen impacted communities, representatives from Calgary City Council, event, and provincial election candidates (including the UCP). If you have any questions about these materials or the flood coalition, please reach out to us at info@crcactiongroup.com. Question? Comments? Reach us at info@floodfreecalgary.com.